7.4 oz., 100% polyester double-faced sherpa fabric. Features embroidered appliqué UMD graphics. Ultra-soft and cozy blanket features convenient, built-in corner zipper pocket for storage. Finished edges. Measures approximately 50" x 60". Comes packaged in a transparent plastic case with cord handle. 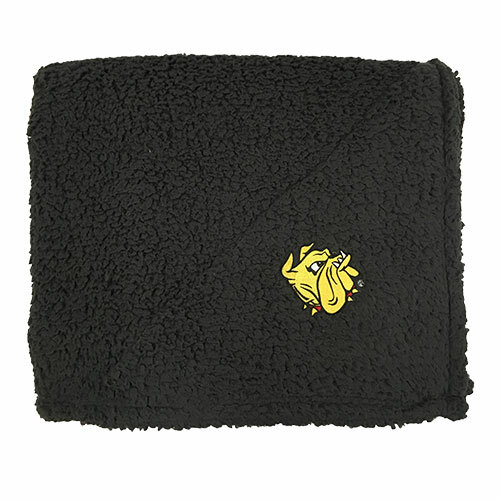 Please select option for Bulldog Head Sherpa Blanket 50x60 by Boxercraft.